Dynamic Website helps you to add data, images, videos etc in your website without the help of your web designer. You don't need to contact your web designer to make changes in your website. You can add/delete/edit multiple pages & contents. Simply you can say you are own boss of your website. 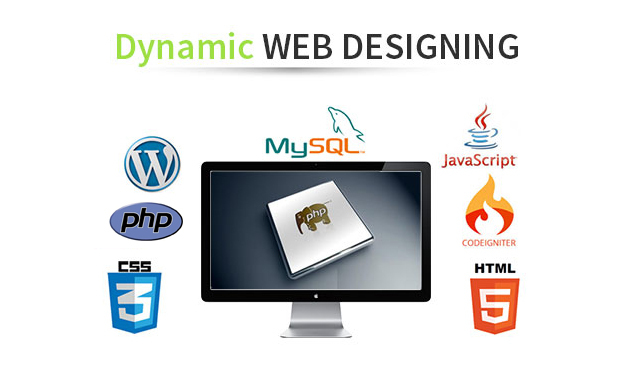 Dynamic websites are like an application or software developed by a web programmer as per your needs. It is little expensive as compare to Static website. A pivotal key to reach the bank of information through technology is world wide web which is achieved by creating web pages through web Designing. One of the approach to accomplish this is by creating dynamic web pages that display different content each time the page is requested. For instance, the page may change with the time of day, the user that accesses the webpage, or the type of user interaction. Dynamic web Designing can be attained using Server side scripting or client side scripting. Server-side scripting allows user's request to be fulfilled by running a script directly on the web server to generate dynamic web pages. It is generally used to provide interactive web sites that interact with database or other data stores. The primary advantage for the same is that server-side scripting has the ability to highly customize the response based on the user's requirements, access rights, or queries into data stores. The most helpful feature of a dynamic approach to web Designing is that content of the pages can be easily manipulated using a separate html interface(generally known as Content Management System). Unlike the Static websites where the web programmer needs to access each page to modify the content, admin user of the website can easily access the management tool to update the content of the website.